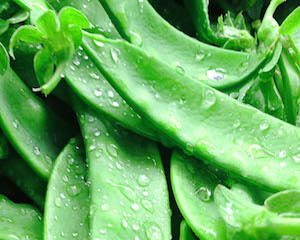 Yesterday, I harvested five snowpeas from my garden at home and added them to my lunchtime serving of vegies and quiche. As well as being absoutely beyond delicious, they taught me a lesson: when you want to do something new, just get started. Sounds facile, I know, but it is remarkable how difficult it is to just start on something new and unfamiliar – such as writing a regular blog, or beginning a content marketing campaign. As you may know, I am trying to start a vegie garden at home, and have been worrying about drawing up a plan, and getting the neighbours involved. But six weeks ago, a friend gave me half a dozen snowpea seedlings, and I simply planted them in the front garden as soon as I got home. Now they have started to produce. Last weekend, that same friend gave be some broadbean seedlings to plant. How excited I am since harvesting my first snowpeas about the possibilities of broadbeans! If you are struggling to write your blog, the advice from my snowpea experience is to just get started. The seeds you plant will grow towards regular writing, and you will harvest something really fresh and crunchy before too long!